I love the idea of making an object that makes art, that becomes an extension of the body and a conduit for the expression of music in the hands of a human being. My aim is to create unique objects of beauty at a fair price. I want my banjos to be well-made, comfortable and sensuous to play, solid, simple and tasteful. Each banjo is different, but I always seek a satisfying mix of the powerful, evocative, soulful, deep, resonant, plunky, thumpy, clucky, pingy, plingy and plongy sounds that we love about the 5-string open-back banjo. I prefer goat- and calf-skin heads. For wood, I use mostly black walnut from a tree that used to be behind my barn, as well as cherry and maple. I use mostly raw-brass hardware, which receives a rich patina before leaving the shop. In the end, it's up to you. We'll discuss what you're looking for. One thing that distinguishes my banjos is the finish - I use a natural, 'open' finish of hempseed oil, beeswax and propolis that gets better as it ages and can be 'fed' whenever it wears thin. 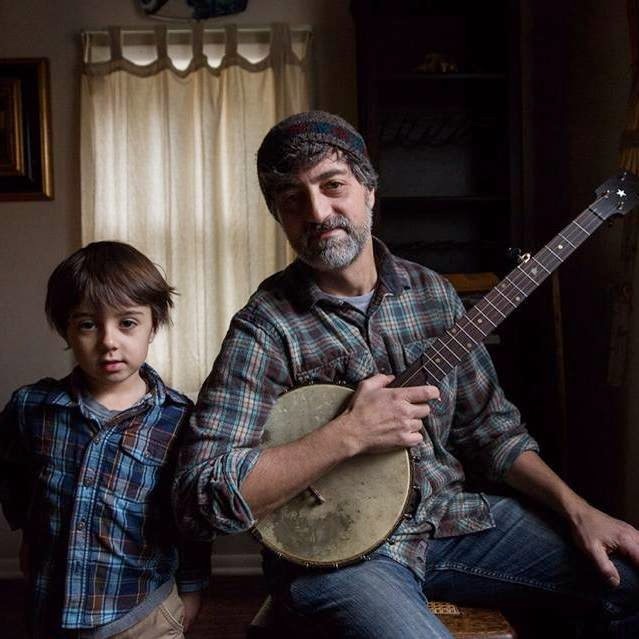 I first got into clawhammer banjo and old-time music in 2008. But I have always loved making music and making things. I have an MFA from Hunter College, CUNY and studied Painting and Sculpture at Bennington College. I taught art and aesthetic theory at SUNY New Paltz from 2000-2012. I played in bands in high school and college. I began making banjos in October of 2012 when I attended Will Fielding's 2-week workshop at the Whetstone School of Lutherie in Brattleboro, VT. When I'm not making a banjo, I'm often playing one for The Shoe String Band, an old-time string band based in the Hudson Valley.